Admin support is always in demand. Prepare your interview answers in advance to dazzle employers. Highlight your organizational skills during an admin job interview. Administrative jobs are necessary in nearly every industry, making them among the hottest positions for employers and job seekers alike. Admins are also some of the hardest working employees; they multitask behind the scenes to make sure the supplies closet is always fully stocked, invoices are processed on time, and the executives know where they need to be and when. Because of how crucial admin positions are, employers have high expectations of candidates applying for these jobs. Don’t fret though—we’ve identified five questions you can expect at an administrative job interview and how to best prepare for them. QUESTION: How do you handle stress? Intent: Though it’s a difficult skill to master, being able to juggle multiple assignments at one time—and keep a cool head—is a must for a lucrative administrative career. Employers want to be sure you have a strategy for taking on the demands of the job without crumbling under the pressure. QUESTION: Why do you want to be an administrative assistant? Intent: Although admin work can be tedious for some, many people enjoy it. 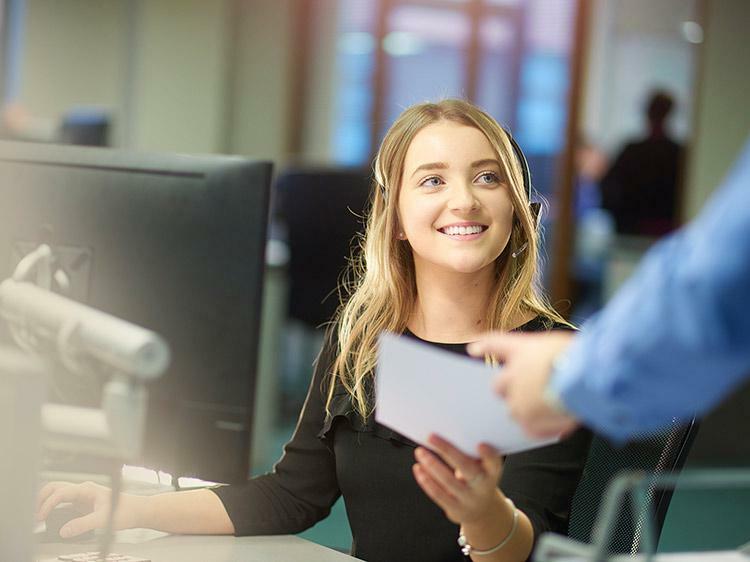 Hiring managers want to be sure you’re genuinely interested in the job responsibilities, especially considering happy workers are more productive, recent research from the University of Warwick found. Response: Obviously, you can’t say, “Because I need a job.” Your best approach is to describe what you enjoy about administrative work, says Christen Pacton-Garcia, a human resources faculty member at Ashworth College, which offers administrative assistant training. Do you like welcoming visitors to the office (“I’m very outgoing”), or organizing travel plans (“I love finding the best deals on hotels”), or doing data entry (“I love detail-oriented work”)? Say so! QUESTION: What computer skills do you have? Intent: You’ll likely be in front of a computer for the bulk of your day, and you won’t be using it to check Twitter. “Employers want to see that you’re current with administrative technology,” says Diane Crompton, career coach and author of Find a Job Through Social Networking. Some companies may require you to take tests for certain programs, Crompton says. QUESTION: Tell me about a time when you had to deal with a difficult client or customer. Intent: Some support jobs are internal positions, while other positions, like receptionists, interact with customers or clients. Either way, “hiring managers want to assess your interrelationship skills and how you diffuse conflict,” Crompton says. Response: Any question that begins with, “Tell me about a time when…” is a behavioral interview question, where employers use your past experiences and behaviors as an indicator of your future success. So in this case, it’s important to prepare a compelling anecdote of when you used your communication skills and professional demeanor to respond to a difficult client or customer. QUESTION: How do you stay organized? Intent: Strong organization skills are a must for admin or support positions, particularly for executive assistants, says Crompton. After all, if you can’t organize your own schedule, how are you going to help your boss stay organized? Response: Be specific when describing how you keep on top of your time and workspace. What messaging system and calendar programs do you use? Do you have a dedicated basket or small shelf for pending projects? How do you prevent clutter from accumulating on your desk? Showing how you’ve mastered these systems or practices can make you a more attractive job candidate. Admins do a lot of work for a company, so it makes sense that the interview questions touch on a number of various skill sets. Some answers will come to you more quickly and easily than others, but don't sweat it if you get stumped. There are resources available to help you stand out to companies, both during the interview process and after you get hired. Want to learn more? Join Monster for free today. As a member, you'll get interview insights, career advice, and job search tips sent directly to your inbox. From time management to customer service, you'll discover how to take the reins and lead yourself along a promising career path. Trust Monster's experts to deliver super-valuable career lessons—all at no cost to you.